If each coconut is priced at $9, then the shopkeeper loses $11. 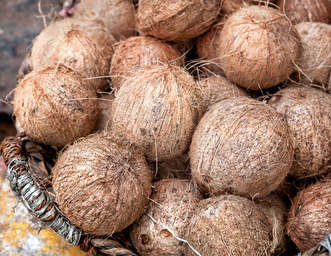 If each coconut is priced at $11, then the shopkeeper gains a profit of $9. How many coconuts are there?